Kindly make sure to inspect the item condition before accepting the item from courier company/delivery person and signing their receipt. Incase of any signs of pilferage or tampering or item is damaged or short then, please do not accept the package.No Broken claims will be accepted. 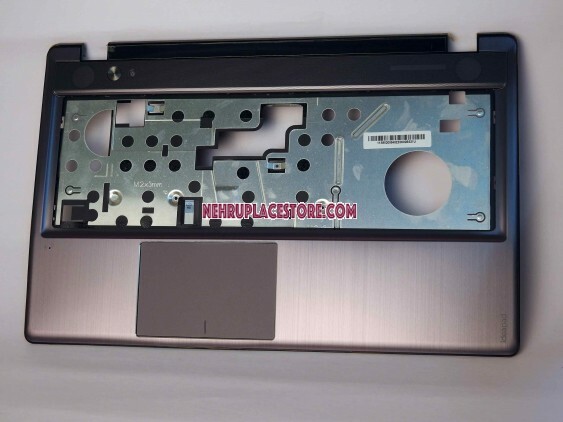 Lenovo Ideapad Z580 Z585 series Palmrest Touchpad 3KLZ3TALV20. Lenovo Ideapad Z580 Z585 series Palmrest Touchpad 3KLZ3TALV20 Kindly make sure to inspect the item condition before accepting the item from courier company/delivery person and signing their receipt. Incase of any signs of pilferage or tampering or item is damaged or short then, please do not accept the package.No Broken claims will be accepted.